First let us get a few things out of the way. Yes people still play Pokemon GO, quite a few people actually. Second this will not be involving some key features that remain frustratingly unimplemented such as peer to peer battling and Pokemon trading. These are ideas Niantic can implement right now using the existing features present in Pokemon GO. Egg hatching remains a key aspect of Pokemon GO alongside Raiding, Eggs are the quickest way of obtaining rare Pokemon that may not spawn in your area. As such they provide one of the corner stones of Pokemon GO. Which is why it is a damn shame for a large share of the player base Eggs are useless 90% of the time. This is due to the way Eggs are set up: with three types of eggs based on distance needed to hatch at 2km, 5km, and 10km some Egg groups are virtually worthless. For example the 2km eggs are populated by low level Pokemon so easy to find and capture their hatching is not the point of the egg any more, the point of the egg is to remove it from your bag. As one can only hold nine eggs at any given time. At a 36.51% chance of finding a 2km egg that is a lot of distance spent milling eggs. As for 5km eggs they are easy to understand they hate into too many Pokemon. With 52 types of Pokemon hatching in eggs and a 51.11% chance of drawing an Egg it is so rare to hatch something good out of a 5km Egg as to be worthless. This leaves only the rare (12.38% drop rate) 10km egg where even getting one is a hassel and even then experienced players likely only have a 30% chance of hatching something good. The long and short of it is currently eggs as a cornerstone of Pokemon GO are broken. Luckily there is an easy fix. The introduction of a new Egg group could solve the issue eggs are experiencing now, issues that will certainly be made all the worse with the introduction of new generations later. By splitting the 5km eggs up into a 4km group and 7km group it effectively splits the wheat from the chaff, where no longer will one egg be able to hatch a Scyther or a Wooper as 5kms now do. It will increase the chances of getting something useful without massively destabilizing the hunting aspect of the game. Perhaps hatching an egg will return to being an exciting affair. 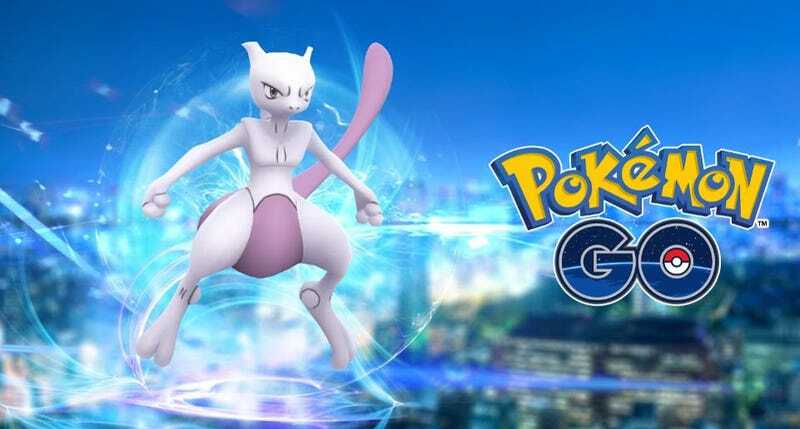 The introduction of Legendary Pokemon to Pokemon GO has been a huge boon for the game in the short run. The excitement surrounding these Pokemon has clearly electrified the community in a way very little has before. Even casual players (those under Level 30) are getting involved in numbers I haven’t seen since last summer. However in many ways they are sucking the Oxygen out the rest of the game and lower importance raids in particular at the moment. Of the Pokemon GOs five raid tiers it is widely known Level One and Two are soloable meaning you can finish the raid alone, while Three and up are not. However with Legendary Pokemon almost nobody is doing the Tier 3 and 4 Raids anymore. Once again there is an easy fix for this, make Tier 3 soloable by cutting the Raid Pokemon’s CP (Combat Power) by about three to four thousand and lower Tier Four Raids so two or three decent players can finish them. It would breath new life into these raids that nobody is doing any longer and make Pokemon GO a slightly less frustrating experience. I am going to say this straight up the Gym revamp from a few months back might have saved Pokemon GO. The old system was horrible as it locked out basically all but the most active (and paid up) players by locking down gyms to get any sort of coins. With the changes to the game average players can finally partake in gyms. That being said some odd decisions have been made by Niantic in regards to Gyms. Most notable would be the requirement a Gym Pokemon has to be defeated before a person gets their coins. It has been found a Pokemon makes one coin every ten minutes for a maximum fifty coins per day, to get the maximum you need eight hours of gym defense per day. Which is not hard in any way. The issue is especially for rural and suburban players is gyms can be crazy inactive. Sometimes a Pokemon will stay in a gym for days on end. Once it returns you only get the fifty coins for that day even if it had defended the gym for a week or more. This seems excessive. A simple fix would be to allow a Pokemon to faint from fatigue. Right now as a Pokemon stays in a Gym it gets tired and its CP lowers, however it will only faint if battled. If a Pokemon fainted after say 24 hours of gym defense this would allow people to get their Pokemon back for other uses, encourage gym turnover, and more reliably reap the benefits of their success. All around Pokemon GO is actually a pretty good game for its platform. Its engaging enough to continue to live on for sometime more, however it is impossible to shake the feeling there is so much wasted potential. Pokemon GO is a good game but it could be great, these are simple steps that could easily make Pokemon GO a better game for players. Which in turn is good for Niantic by giving them a bigger market to sell too.